The Pro-Source Series pressure tank made by STA-RITE Industries are one of the most high quality well water pressure tank available. These pressure tanks have a new tested-tough composite base. This new composite base offers superior corrosion resistance over conventional steel base configures pressure tanks. This base will never rust! The heavy-duty 'tested-tough' composite bases are made of high impact material for drop, dent and scratch resistance. The 16" and 20" tank base is made of Hi-impact Polypropylene and the 24" tank base is made of Hi-Impact ABS. 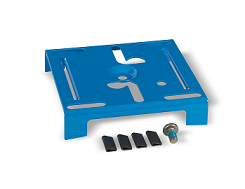 The new composite base is also equipped with mounting holes for installations that requires anchoring the tank. 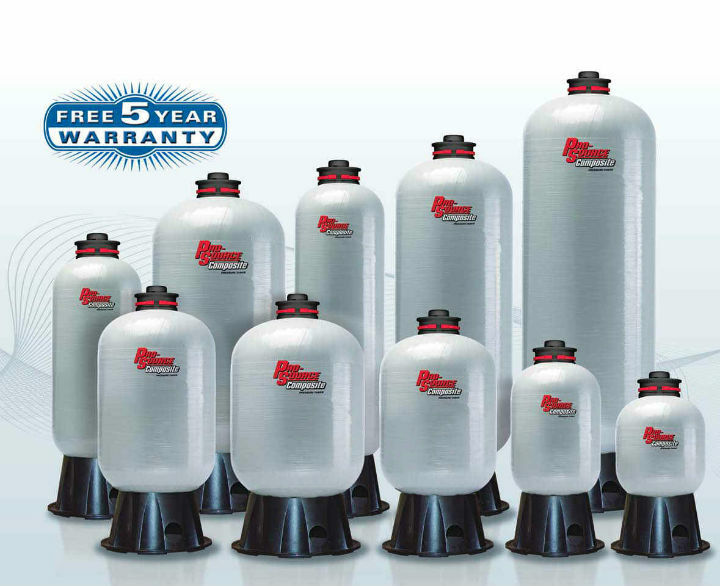 Applications: Use whenever pressurized tanks are needed in water system applications. Base: Heavy gauge steel with protective vinyl edging. Finish: Electrostatically applied, baked-on polyester paint. Water Cell: One piece seamless PVC, made FDA listed material. UV Valve Cover: High Density polyethylene. Heavy Gauge Metal Construction - Sturdy "welded wrapper and head design". Build to last. Polyester Paint Finish - Electrostatically powder painted, then oven baked for a smooth high gloss, appliance-quality finish. Resists corrosion. Integral Stand Pipe - Keeps the water cells standing erect, promoting complete flushing of the water entering/exiting the tank. Nitrogen-Rich Precharge - Decreases air permeation three to four times over straight air precharge. 40 PSI Precharge - Ready for use with 40/60 pressure range systems. Enables installer to reduce pressure depending on pressure switch setting. Five Year Warranty - Managed and provided by Sta-Industries, Inc, The only US pump manufacturer to design and manufacture pumps and tanks! Controlled 2 dimensional call expansion. Rugged, seamless "water cell" prevent the most common cause of pump failure - water clogging. Pro Source Tank Sizing Rule: Size tank for one gallon of draw down for each gallon per minutes of pump capacity. Example: For a 1 HP 20 GPM unit pumping 25 gallons per minute on a 30-50 pressure switch setting, the properly sized Pro-Source tank is a SR85-T52 which has a 26 gallon draw down. To order , select the model of your choice and click on the ADD to CART Button. Note: PS19S-T02 does not have the bracket welded into the tank anymore, you will need to get a separate bracket PKG-198. 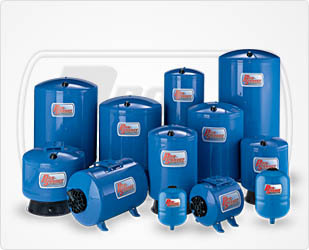 Pro-Source Plus Pressurized Steel Water Tanks. 125 PSI Maximum operating pressure in tanks 50 gallons and greater. FIBREWOUND Pro- Source Composite Pressurized Water Tanks. 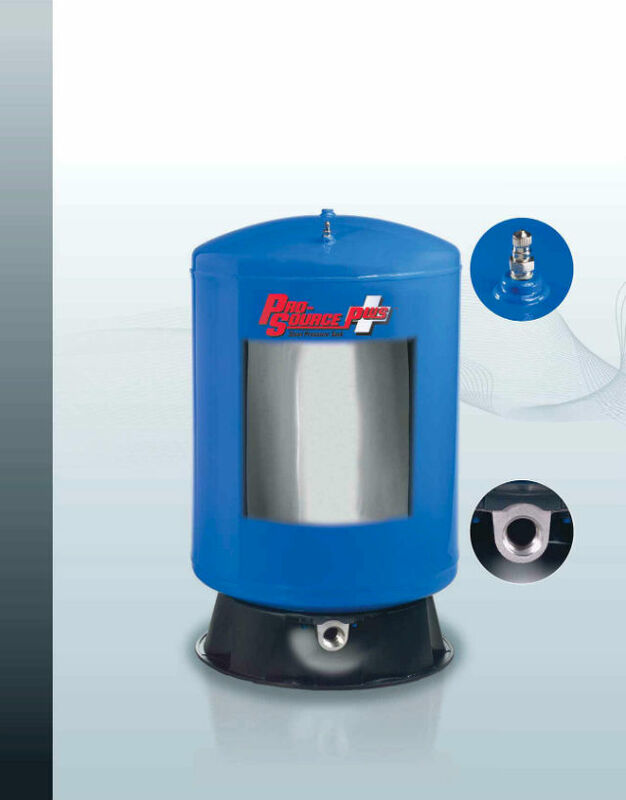 PRO-SOURCE COMPOSITE FIBER WOUND PRESSURE TANK WITH EASY REPLACEABLE AIR CELL. 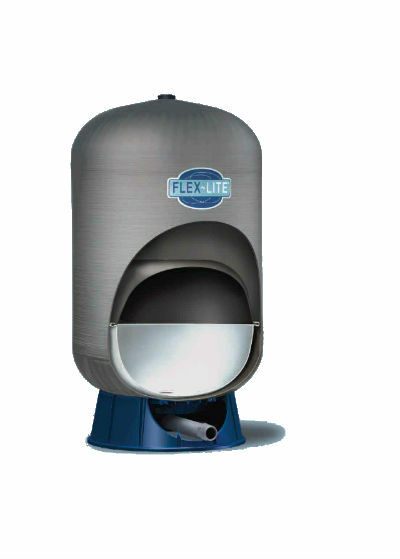 The Flex-Lite FL composite tank uses the latest evolution of the field proven controlled action diaphragm design.